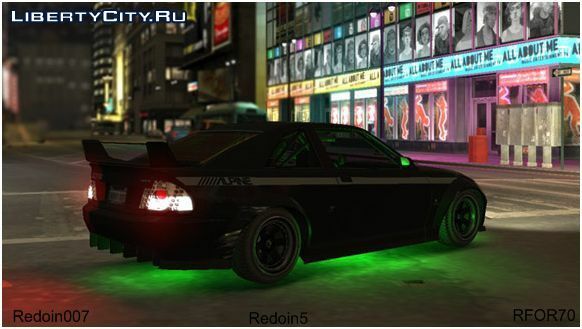 A stunning script that adds a realistic neon suspension under the bottom of the GTA 4 cars. Net Script Hook v1.7.1.4b allows you to load scripts written in any .Net language when the game starts. Works with all versions of the game, including the newest version 1.0.7.0. This mod makes a fighter from the game similar to a fighter from GTA V: Camera, sounds, physics of rockets, sight, in general, watch the video and see everything. A script that allows you to create different combinations of clothes. Also can be used for changing clothes. Есть в Simple Native Trainer, да там ещё и дохрена разных цветов, так что извини батька, оценки не поставлю и качать не буду. Уау, то, что я искал! а на патче 1.0.1.0 рабит????? Очень красиво смотрится в игре!Качаете!